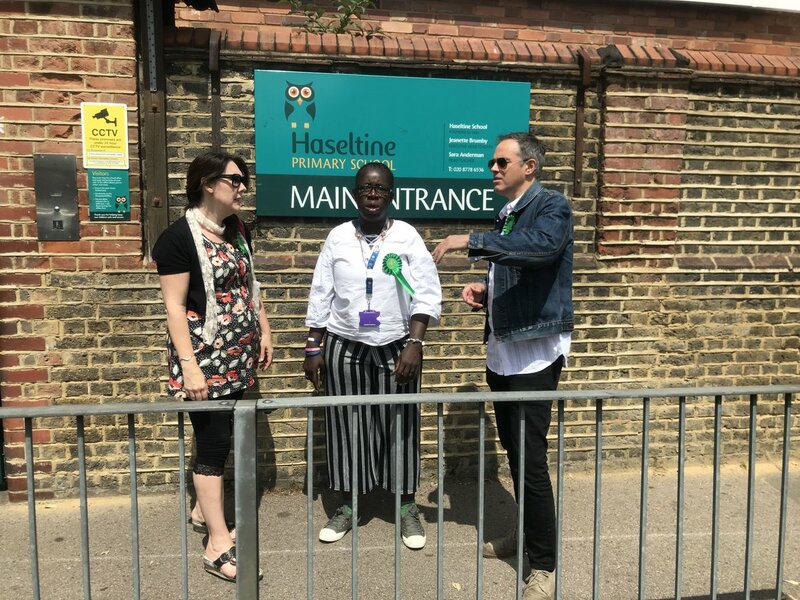 Jonathan Bartley, co-leader of the Green Party, today highlighted how air pollution is effecting Lewisham's young people on a visit ahead of the Lewisham East by-election this Thursday. Rosamund Adoo-Kissi-Debrah, the Green Lewisham East candidate took Jonathan to visit a memorial for her daughter Ella, who died in 2013 from a rare and severe form of asthma. Jonathan and Rosamund will walk from Catford Station to Lewisham Hospital, where the memorial is located, visiting some of Lewisham's most polluted streets on the way. Research has found that tens of thousands of children at more than 800 nurseries, schools and colleges in London are exposed to illegal levels of air pollution. Meanwhile dirty air has been linked to stunted lung growth in children and teenagers, at a similar level to exposure to maternal smoking. Every year air pollution is linked to the deaths of 40,000 people nationwide, and 9,500 people in London. "We all have the right to breathe clean air - and yet every day tens of thousands of children across London are exposed to illegal levels of air pollution. I am proud the Green Party has been at the front of the campaign to clean up our dirty air. "Rosamund is a fantastic campaigner who has always put our children front and centre in her fight to make Lewisham a healthier place to live. She would make a brilliant MP and it is a privilege to join her on the campaign trail."